For shame! A lot of people are interested. Not much different from reading about or paying attention to the antics of so-called "celebrities" who usually don't have enough common sense or decency to fill a thimble. I can't imagine why anyone cares a fig about Justin Beiber or Amanda Bynes. Because we're British and proud of it!!!! Perhaps because everyone (Brent excluded) loves seeing a couple in love having their first child. It's extra special when it's Royals who appear "normal", well-grounded and have charisma. Not to mention being the recent Godmother of the Royal Princess. Guess it just isn't my cup of tea. Even in the UK we are seeing reports in the news about the huge fires in California. Don't know how they started but lets hope they don't get to Yosemite National Park. Yea it is getting really bad out there. Hoping for the best. Thanks for mentioning about Coronado. Had no idea until your post what a great place it is to visit....also seems to have a really good beach. Have visited Los Angeles and San Francisco but haven't really considered going further south along the coast. If I get a chance it would be nice to spend a couple of days over there. We hit a perfect day to go to the Hotel Del, too, sunny and nice out. Merry Christmas to all my friends on this website. I know you have cruise stuff on your facebook page, but as I'm not joining, unfortunately I don't get to see any info you provide except what you post on here. Wow $80 each for a weekend buffet meal at the Hotel Del ! I bet there was a lot of great food and plenty of variety but the price would be a bit too steep for me. Thanks for asking, as usual I had a good time over Christmas. I left the management team on this site after some changes were made by the original owner, Enrigue . From what has come out since then it appears that I and others had not been told the truth ! A number of the old members are now on my Facebook site ' Neil's Cruisingchat ' as they were also not happy with what happened. I do again post odd news items on here after the latest owners took over and contacted me to find out what had happened as the membership on here had gone up by over 3,000 while was the UK Manager. on this site ! A lot of people think you have to provide a lot of details to join Facebook but that is not correct and you only need provide your name and email address. Other details are optional ! If you are using a computer with a webcam you can also chat to other friends for free if they are on line at the same time as you. 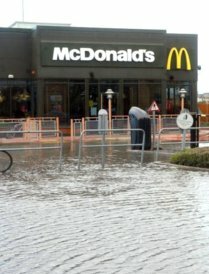 Of course the big news in the UK at the moment is the huge amount of flooding at the moment. You have to feel sorry for farmers and ordinary people who have had their lives turned upside down. Somerset in the south west has been very badly hit and now other parts of the country are also affected. It seems that there is still a fair bit of rain still to come. 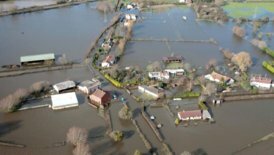 We are lucky in our part of the UK county of Bedfordshire, which is about 30 miles north of London, as we have no problems with the flooding. In the UK county of Somerset there is massive floods and in Devon the railway lines were washed away in the storms. 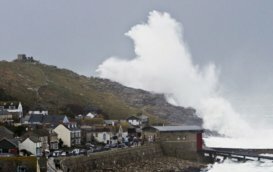 One picture shows the waves breaking over the coastal village of Sennen Cove in Cornwall. also hopefully there should be some special offers about and other things taking place. 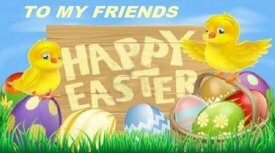 Happy Easter to all my friends. Hope you had a nice Easter Neil. Our Mother`s Day was just two days ago, here in the US. I met two gentlemen from UK on a cruise on the Divina,one from Liverpool and the other from Manchester in April. We have had a lot of disruptive weather lately in the US - fires, wind and flooding. I did enjoy Easter and seem to be busy all the time with posting on here , two facebook sites I operate and a new cruising blog I have just started !